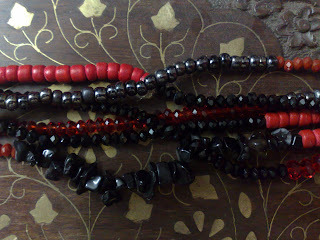 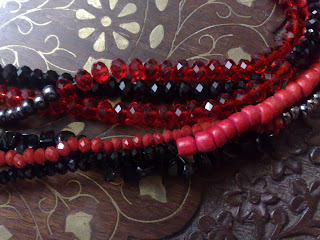 I often wear red with black and had some red wooden beads I wanted to spice up a little with some other, prettier beads. 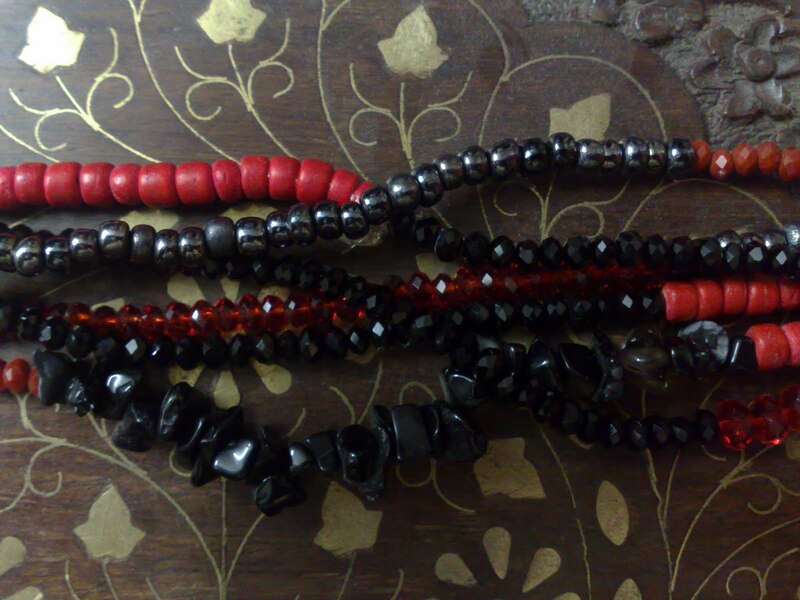 I also like the idea of mixtures of shades and textures in the same colour range together. 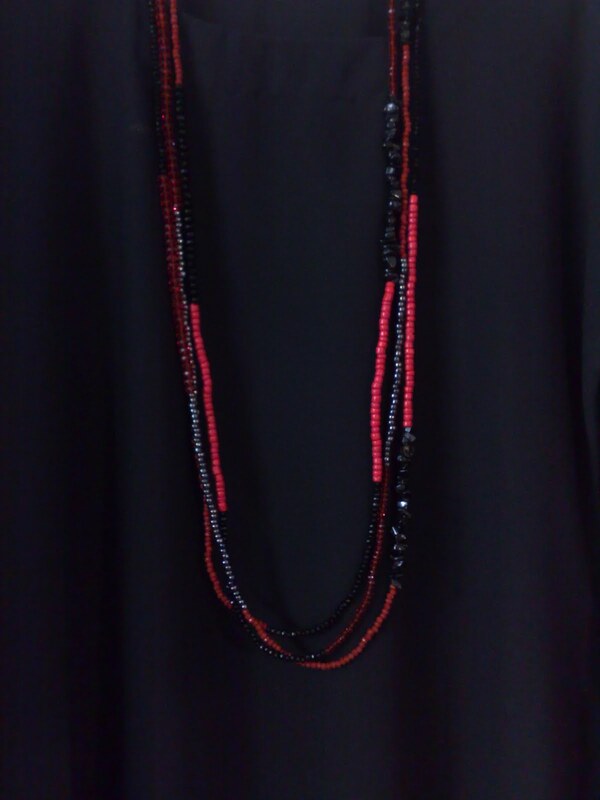 Because I wear my hijab quite big, a long necklace for me has to be quite long or will get hidden. 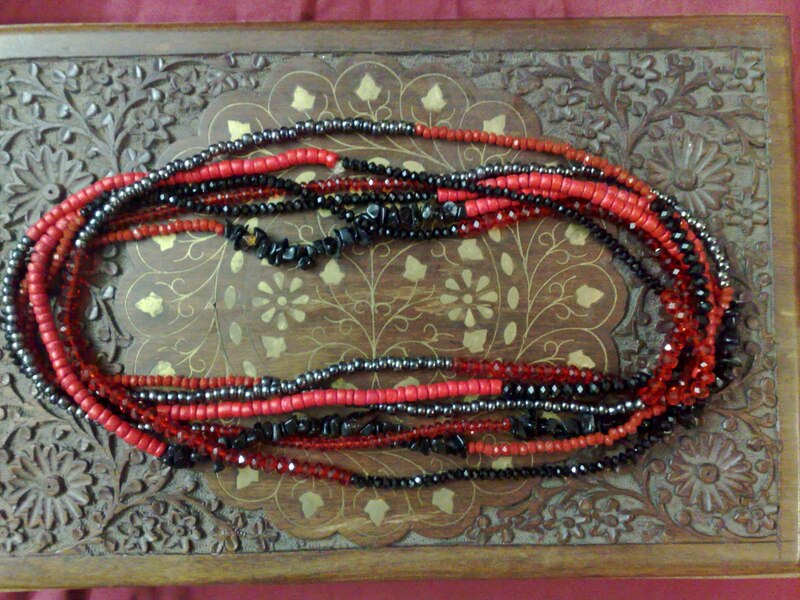 This one was certainly very long even when worn coiled into three strands. 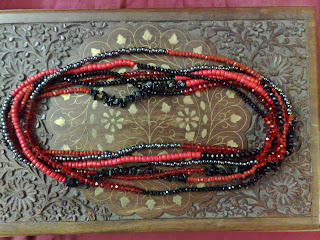 The beads are red wooden beads, 6mm faceted glass rondelles in black and red, 4mm faceted glass rondelles in black and opaque red, large pewter seed beads and black stone chips (no idea what material these are). 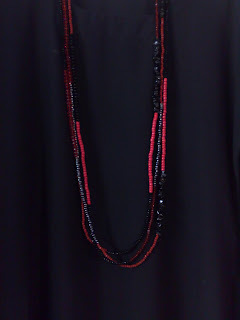 I wore the necklace with a black abaya, black scarf and a red under-hijab cap. 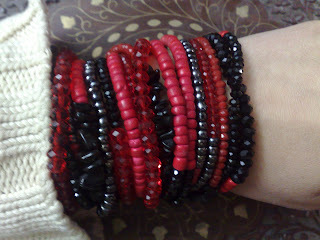 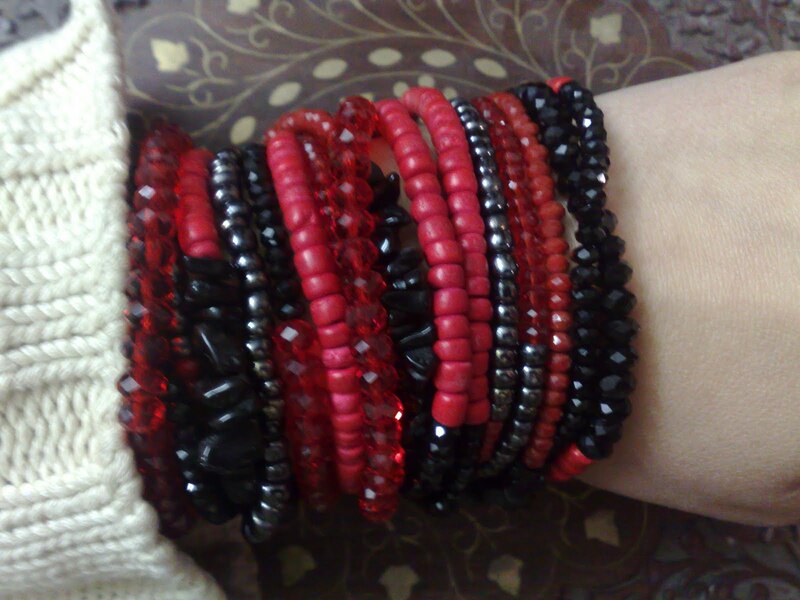 Although, now I think about it, I quite like the necklace wrapped around my wrist as a bracelet too.